Planning your wedding will be a lovely experience! You will get the opportunity to develop an array of details to bring your big day to life. Gorgeous elements of décor, delicious cuisine, festive entertainment; it will certainly be an event to remember. However, your special celebration will all take place within a wonderful venue. Therefore, it should be beautiful! Lighting. Your venue likely presents an array of lovely details, such as unique architecture. By utilizing up-lighting, you can illuminate the features that your venue showcases to create a stunning display. In addition, consider utilizing pin spot lighting to highlight elements within your wedding, such as your cake and floral arrangements. Lighting will certainly accentuate your space beautifully! Draperies. You have the opportunity to create an extravagant display with the use of fabric draperies! Whether you are creating a display among your ceiling, or your walls, know that you will make quite the impression. In addition, know that you can complement your wedding color scheme by choosing fabric that highlights your chosen hues, for a lovely presentation. Décor Details. There will be many details of décor that you will showcase on your big day. These elements are sure to accentuate your space! With stunning floral arrangements, you can enhance your atmosphere elegantly. 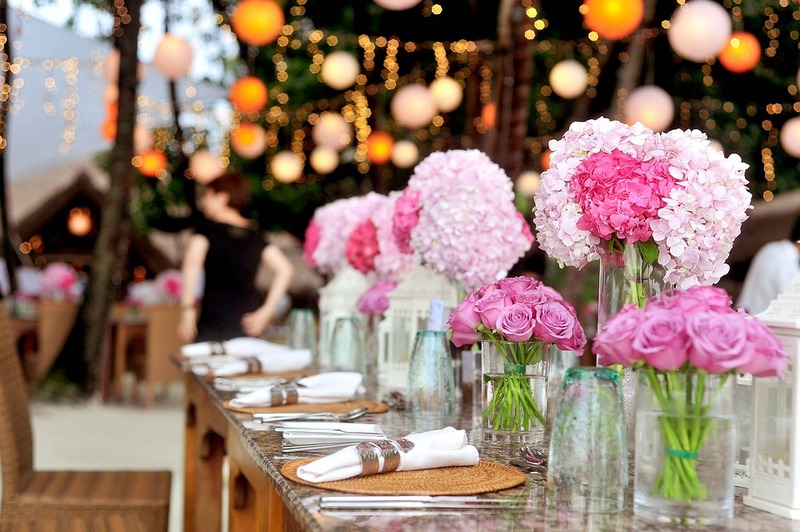 So, choose luscious blooms and lovely vases to add a dash of pizzazz to your venue. Your big day deserves to be beautiful! These are just a few of the many ways in which you can accentuate your own wedding venue. If you are all set to discover your own Columbus wedding venue, such as Noah’s of New Albany, please get in touch with us here at Engaged Columbus. With an array of wedding venues to choose from, we would be pleased with the opportunity to assist you with booking yours.